It's bad enough getting a parking ticket. 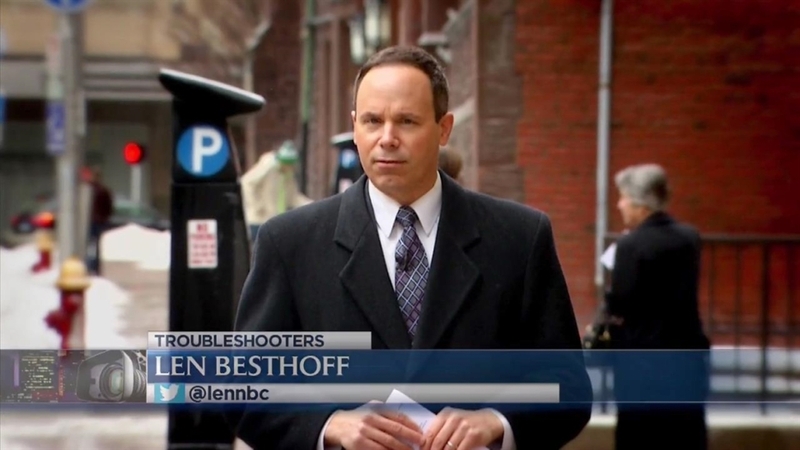 The NBC Connecticut Troubleshooters learned at least in one Connecticut city, parking enforcement officers must give out a certain amount of tickets or they could lose their job. Quotas for things like speeding tickets are illegal in Connecticut, but no state laws cover parking tickets and a whistleblower tells the Troubleshooters he's living proof there are quotas for that. Angel Munoz said the Hartford Parking Authority has ticket quotas for parking enforcement officers, “…that's like an unspoken rule." He said he knows because the Hartford Parking Authority had him removed as a parking enforcement officer after six years on the job for not issuing enough parking tickets. Now he's fighting for his job back. “I never thought that I was gonna get terminated for not meeting the quota," he said. Munoz gave us an email which says, the Hartford Parking Authority ordered his employer, Republic Parking, to replace him because “he only issued 311 citations” last October. The parking authority called it “…indefensible and unacceptable. “I don't think it's right because, I mean, they're actually forcing us, the employees, to look for tickets that doesn't exist. ... The citizens out there, they're being targeted because we need to meet a quota," Munoz said. The parking authority, which nets the city $1 million per year in parking fines, confirmed the email is authentic, but would not tell the Troubleshooters how many tickets a parking enforcement officer must issue and denies it has quotas. We showed the email Munoz received to people parking downtown. “It's like any business, you don't meet your quota, you're out," Nancy Romanelli, of Windsor, said. “(W)hen you say, only issued, to me, that means they were expecting more, they want more. They want more money, that's how I read it anyway," Cathy Kordik, of Plainville, said. In a statement, Hartford Parking Authority makes it clear it has to have some way to gauge the performance of the ticket enforcement officers, saying it compares “… the number of citations issued by each of its enforcement officers against the number issued by each of the other officers. When we see a significant deviation from the collective norm over multiple reporting periods, we worry that the rules are not being enforced consistently." In spite of the Munoz email, the parking authority also points out the total number of parking tickets issued in Hartford has been on a downward trend for seven years, a total of about 70,000 last year. Munoz has been reassigned to a cashier position, but he is fighting for his previous job back through his union and the state Commission on Human Rights and Opportunities.